Hope all goes well with the forum. Re: Hello and good luck! Want to warmly welcome you here. Sure you have great healthy time with all of us. 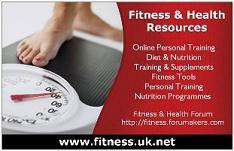 Jump to: Select a forum||--fitness.uk.net| |--fitness.uk.net| |--This Forum| |--Progress Journals| |--New Members| |--Resources| |--Personal Training| |--Diet & Nutrition| |--Training| |--Supplements| |--Recipes| |--General |--Videos |--Fitness Talk |--The Lounge |--For Sale / Wanted |--Unhealthy Section!